Ideal for business travelers and explorers whose plans are subject to change, our Best Flexible with Breakfast package allows you to shift your reservation dates if your travel plans change. Stay in one of our stylish micro guest rooms and rise to a fresh breakfast at Santo Mezcal in the morning. Located in the Funk Zone and steps from several local businesses and popular Santa Barbara attractions, start your day with breakfast your way. 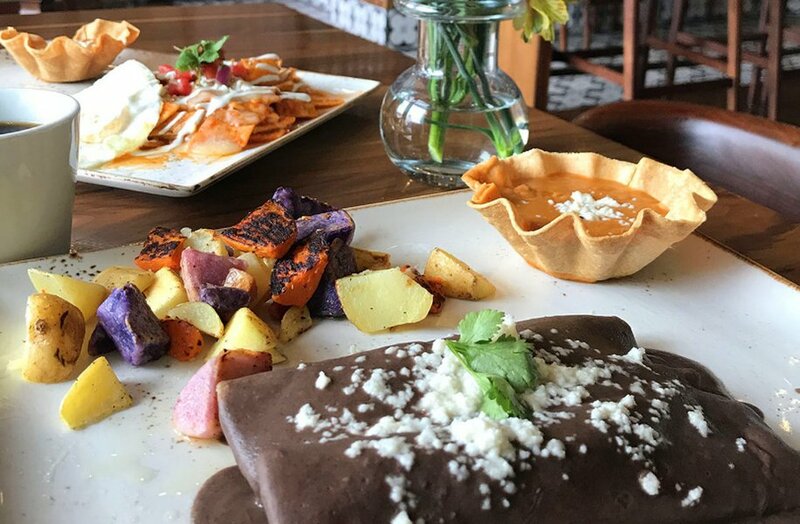 Whether you’re craving a leisurely meal on the patio before a day in Santa Barbara of All American Breakfasts or Mexican food favorites such as Enfrijoladas, Chilaquiles, or Huevos Rancheros, there’s a breakfast waiting for you at Santo Mezcal. Book direct for a best price guarantee and to plan one meal ahead of time!